I had to go to a meeting on the other side of Manchester today so I hoped I would see a dog on the way there, I was in luck. I spotted a cute little dog across the road so I went over to say hello. 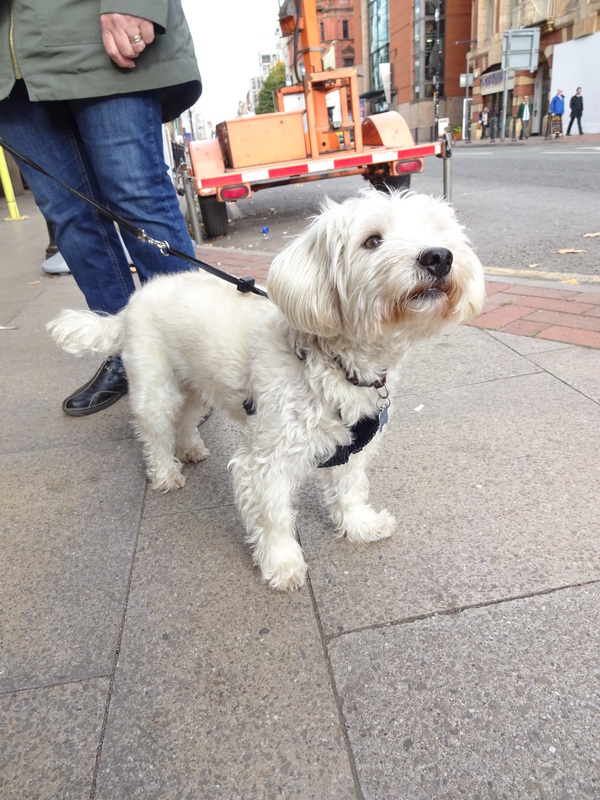 I met gorgeous Ted a Westiepoo; I’ve never met one before, what a cutie he is! Favourite toy: Fox tail squeaky toy!